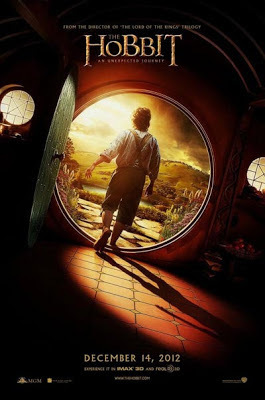 REVIEW: James looks at Peter Jackson's return to Middle-earth with "The Hobbit: An Unexpected Journey": "While the story may drag at times, the visuals more than make up for Jackson’s indulgences." In the first installment of director Peter Jackson’s latest trilogy, audiences are taken back to Middle-earth, the fantasy universe from author J.R.R. Tolkien. The opening scenes of “The Hobbit” show an old Bilbo writing a memoir of sorts and describing his “unexpected journey” 60 years prior. In his writings, he describes what had been happening in Middle-earth — specifically, the Lonely Mountain in the lost Dwarf Kingdom of Erebor. This mountain had been home to the dwarves until the dragon Smaug the Magnificent attacked, forcing them from their only home — with nowhere to go. The narration ends and we see Bilbo (Martin Freeman) as younger man. Gandalf (Ian McKellen) stops by Bilbo’s home in The Shire, a quaint and quiet village inhabited by the hobbits, small people with large feet. The great wizard asks the young bachelor hobbit to accompany him on a journey. Bilbo, who was once a fiery teenager with a sense of adventure and wonder, has grown up into a young adult who cherishes his grandmother’s china, delicate dish doilies and the cleanliness of his home. He has become safe and ordinary. Gandalf still sees the potential of the younger, adventurous Bilbo. “You’ve got the wrong hobbit,” Bilbo warns. A raucous lineup of 13 dwarves later show up to Bilbo’s residence and the plan is revealed. There are signs that the dragon is dead inside the mountain and the dwarves want to reclaim their kingdom before anyone else does. 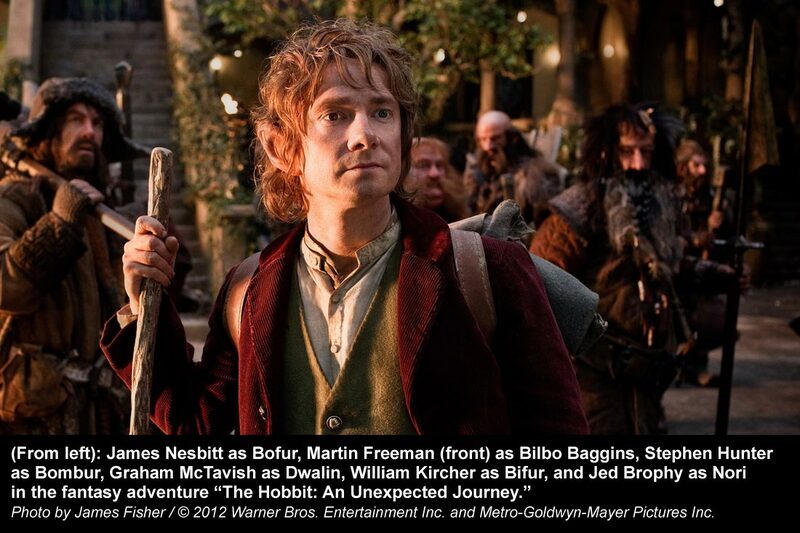 Bilbo, being a small, stealthy hobbit could help the team once they arrive at the mountain. And the story and mythology continue as Bilbo decides to go along on the journey. Director Jackson is at his best in the “Lord of the Rings” realm. What he has created is not only a 17-time Academy Award-winning movie franchise with 30 nominations among the three films, but he has also set the bar extremely high for fantasy films — almost too high even for himself. Fans of the “Lord of the Rings” series will very much enjoy this movie, which can feel more like a director’s cut at times. However, “The Hobbit” suffers slightly from gorging on every minute detail, which casual fans may find slightly arduous. The new trilogy is based on one 300-page book, along with various other writings and “Lord of the Rings” appendices by Tolkien. On the other hand, each film of the “Lord of the Rings” trilogy was based upon a specific book, each about 400 pages. 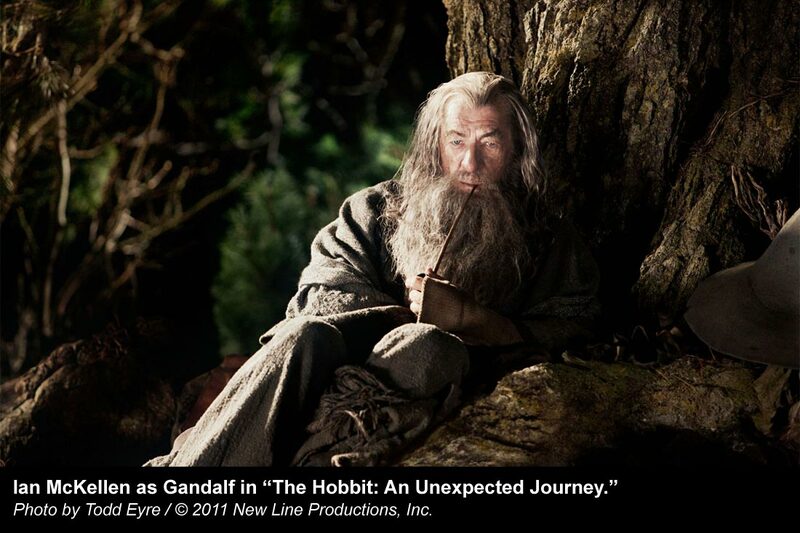 While watching “The Hobbit,” it is clear Jackson is embellishing, just as Gandalf suggested. Jackson allows his audience to savor every possible on-screen moment — ad nauseam. But this is not all bad. Audiences are treated to wonderfully extended scenes between Bilbo and Gollum, along with Gandalf and others. Look for a shared screenplay credit with Guillermo del Toro (“Pan’s Labyrinth”). But while the story may drag at times, the visuals more than make up for Jackson’s indulgences. 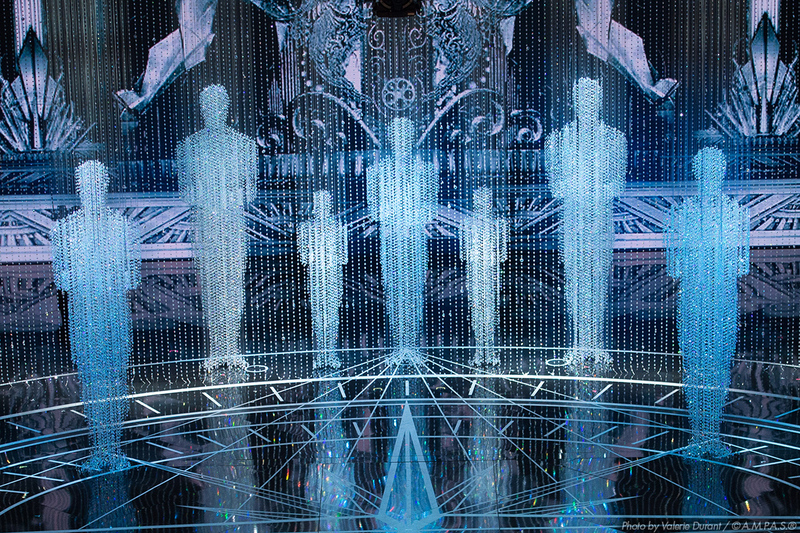 The picturesque landscapes, stunning CGI and 3-D are some of the year’s best visuals at the cinema. Middle-earth appears real. This makes the recent “Star Wars” trilogy visuals seem amateurish. Once again, the animating of Gollum is exquisite and frightening at times. The trolls, goblins and orcs are also impressive. For this movie, Jackson implemented filming in 48 frames per second. The industry standard for movies is currently 24. Television uses 30 frames per second. Check this list to find what theaters will be showing “The Hobbit” in the new format (look for HFR, high frame rate, 3-D). This reviewer did not screen the new format. After investing 2 hours and 49 minutes into the movie, there is a feeling of grief since there is no real story payoff, which may not come until the third movie. It’s going to be a long 12 months. Rated PG-13 for extended sequences of intense fantasy action violence and frightening images.